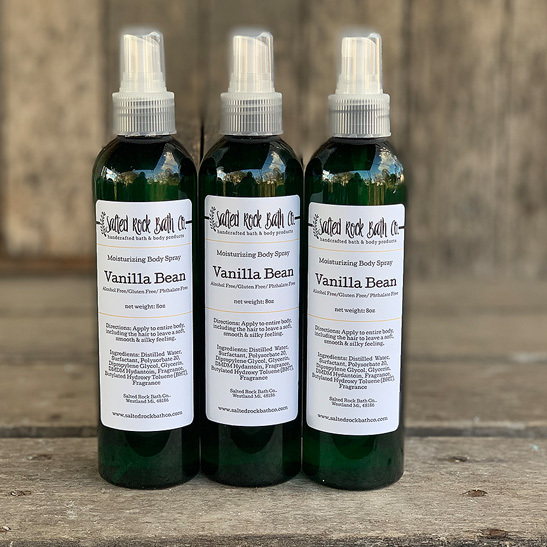 vanilla bean body spray – Salted Rock Bath Co.
Our moisturizing body sprays are a nourishing blend of humectants that draw moisture to the skin. They contain absolutely NO alcohol to burn, irritate or dry skin. Apply to entire body, including the hair to leave a soft, smooth & silky feeling. This scent: A warm blend of fresh vanilla bean, rich caramel and soothing cream.